For today’s Q & A, we’re publishing our chat with Frank Frisbie, Sr Sales Director at LivingSocial, the marketplace to buy and share the best things to do in your city and beyond. He’s run everything there from Inside Sales to Account Management, Learning & Development, and Merchant Services. Use your CRM. We use Salesforce.com but any CRM worth paying for is better than having information on legal pads and google docs. There will come a time when you ask (or are asked) to make a business decision and, without the data in your CRM, you’re in danger of spending much time unwinding a bad decision. Find a way to use your CRM for everything, even if you feel it’s not important data to have in there right now. As an example, we have our folks log meetings set AND meetings held. This helps us understand if we are building enough value during the appointment setting phase, and learn from those that have near 100% meeting held rate. MMy leadership team and I look for ambition, adaptability, organization and business ethics. These 4 have proven to be the top 4 attributes of successful sales people in our organization. Sales is hard work, so a proven track record of ambition takes priority. Adaptability is important as we change a LOT. Depending on the business need we may change opportunity assignments, sales process, seating, and best practices all in a week! Given the high frequency of transactions it is key that our sales people stay organized and of course we demand business ethics protecting our customer and our company. he best way for sales people to ramp is to shadow a high performer, get on the phones, and repeat constantly. Sales people with experience and those right our of college both learn best this way. Ensure you have a team of high performing sales people to leverage in the on-boarding process and create seating assignments accordingly. We conduct sales training in a classroom setting but also have sales people begin selling. It’s the combination of training, shadowing, and selling that allows for the best comprehension. Would you be able to drive a car after only looking at PowerPoint? Of course not. Getting behind the wheel in a safe and controlled environment is the best way to learn. I hold a monthly department meeting, teams hold weekly team meetings, and managers have 1:1’s and coaching sessions each week. There’s no such thing as “too much information” for my sales team. The information ranges the gamut from marketing department updates to salesforce.com training. We empower our team members to be mentors, run team meetings, and decide on recognition. Having a lot of information and collaboration requires constant interaction with the team members. 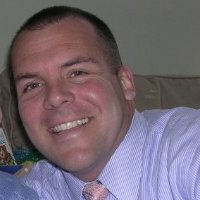 Frank Frisbie is Senior Director of Sales at LivingSocial. He’s managed everything from Learnding & Development to Account Management, and Inside Sales. Prior to that he got his start selling at Ricoh and Vocus. He is a graduate of Washington College with a B.A. in English and lives in Millersville, MD with his wife and two children. You can find him on Linkedin here.